It’s game time!! 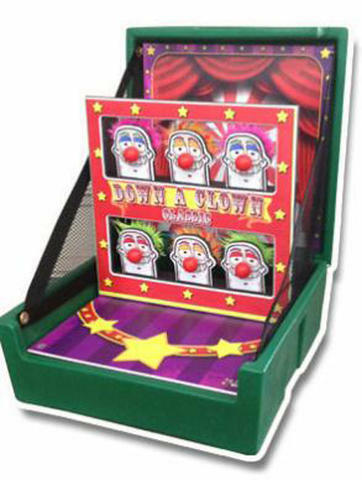 Let’s knock down those clowns with our Down a Clown game. Knock down two of the same clowns to win. Three bean bags are provided with this game. This game can be placed on a table top or set-up using the legs that attach. Set-up by delivery staff.